Most of the StoryTourist crew actually live in or close to Copenhagen, so we thought we would share some of our best inside info on where to go and what to do while visiting this great city! Reffen is a huge street food market located on Refshaleøen. The best way to get there is to rent a bike (don’t forget your helmet!) and cycle your way out. Reffen offers around 70 street food stalls, all carefully selected based on food quality as well as sustainability. There is also a big outside lounge area by the water, featuring art and installations by local artists. During 2019, a new inside area with space for more than 1 000 guests and additional restaurants is set to open. Reffen is open from the end of March until mid-December, you can find a map here. Not far from Kongens Nytorv (where our Little Mermaid Tour starts) you will find the amazing comic book and game store Faraos Cigarer. The store has everything from Danish graphic novels to Manga and all the board games your heart could desire – you can let your inner nerd immerse itself completely. You will find Faraos Cigarer at Skindergade 27-28. Glyptoteket is a beautiful art museum founded by the Carlsberg brewery owner Carl Jacobsen in the late 1800s. It houses more than 10 000 pieces of antique and modern art. You will find 6000-year old artefacts from Egypt, as well as paintings by Monet, Degas, Van Gogh and Picasso. 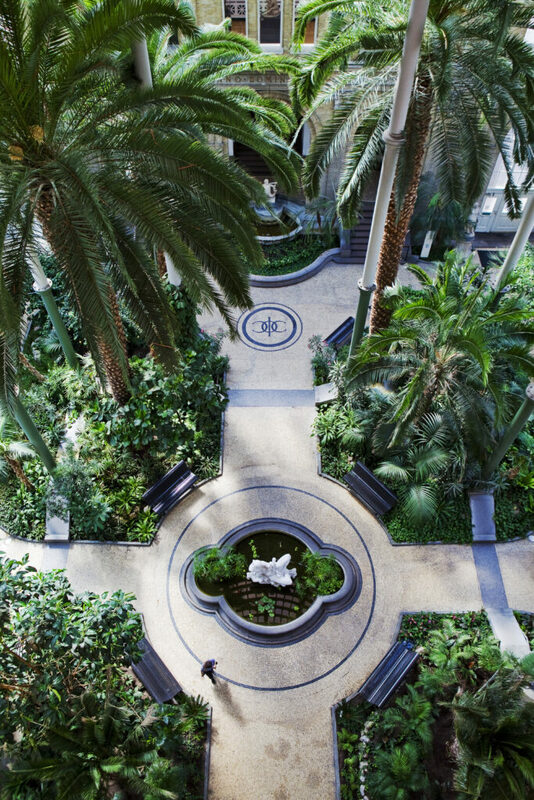 Part of the museum is also a gorgeous winter garden, which features it own cafe among the palm trees. It serves up quite the instagram moments. 😉 Admission to the museum costs 115 DKK for adults, and the museum is open all days except for on Mondays. Not sure where to go for dinner and drinks? Try Kødbyen, Copenhagens meat packing district! Bars, restaurants and art galleries lie side by side with the still operational slaughter houses. Most of the restaurants are focused on meat (naturally), but you can also find pizza, indian food and fish restaurants in the same area. If we were to pick just one part of Copenhagen to hang out in, it would probably be Nørrebro. Here you will find the hipster street Jægersborggade, packed with small indepedent shops, creative bars and cafes, as well as several nice restaurants. If you want to go antique hunting, you head over to Ravnsborggade instead. If you want to have a night out here there are bars specialised on beer, aquavit, cocktails, wine or even table tennis. During summertime a lot of the young locals will gather along the waterfronts of Nørrebro, to play music, hang out and drink beer in the sun.